Amy Douglas is an art restorer by trade. 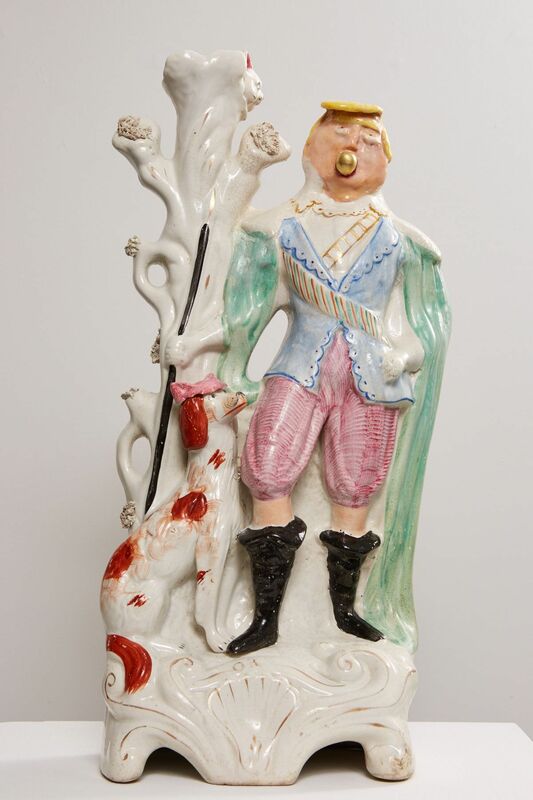 Working in the niche specialization of Staffordshire ceramic restoration, the artist has come to create her own contemporary version of these figurines under the guise of, The Art of Salmagundi. 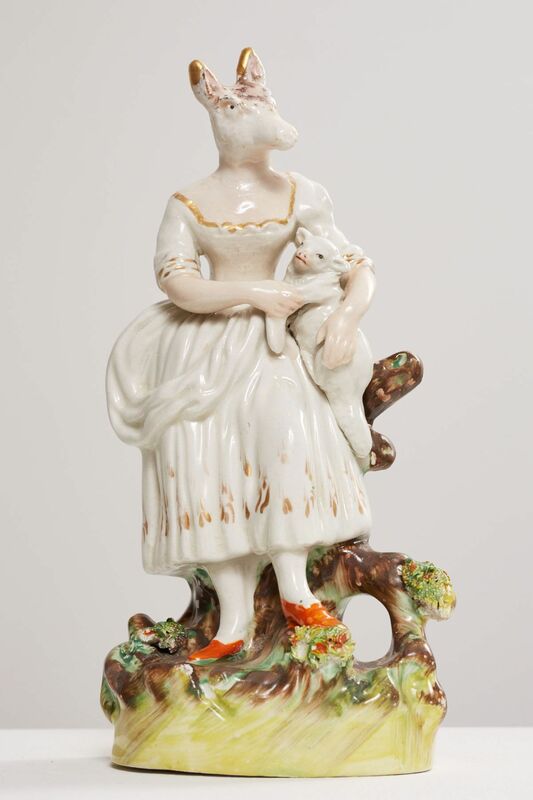 Using only broken or destroyed Staffordshire figures from the 19th century, Douglas delicately brings the found pieces back to life. 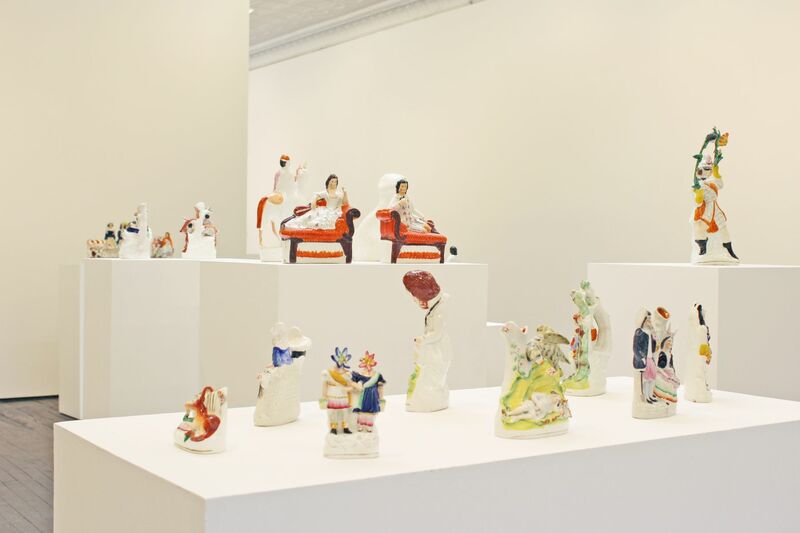 Here the artist breaks with tradition by reconfiguring the ceramics in seamless, sardonic ways. 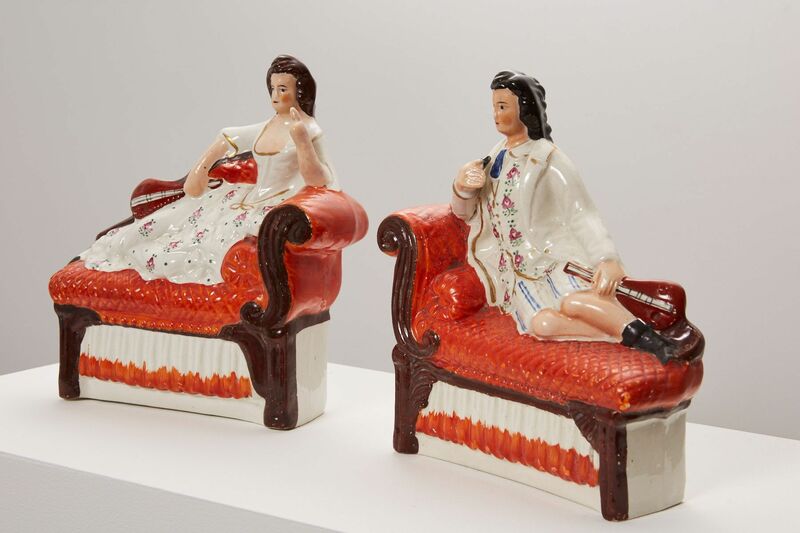 Douglas’ contemporary play on an ultra-English tradition makes the figures disturbingly seductive. The changes are often subtle, and offer darkly humorous statements with a socio-political bent. 'Salmagundi' is an Anglo-French word meaning ‘a variety of ingredients'. 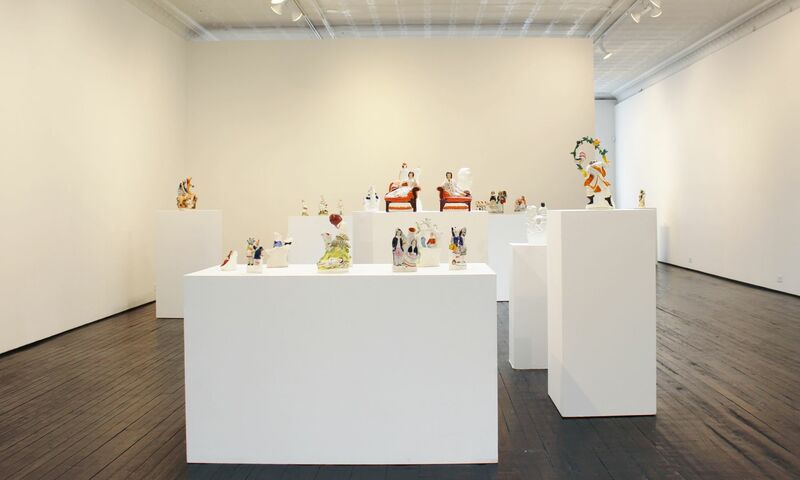 This refers to the haphazard way in which the pieces are found, reconfigured, and subsequently transformed. 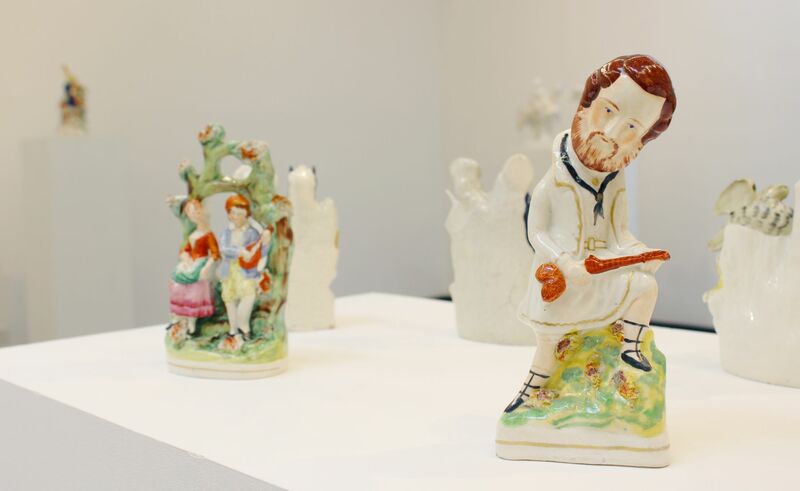 Implications of awkward social situations, emotional difficulties, and snippets of conversations overheard, serve as inspirations for the titles, which are integral to the pieces themselves. 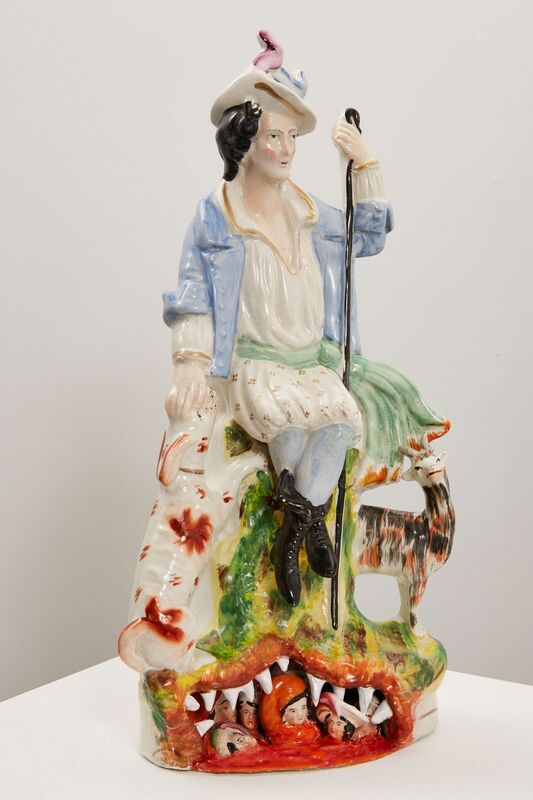 The original Victorian pottery was based on prints and pamphlets advertising local attractions. Mainly sold at fairgrounds as toys or souvenirs, this was art that was accessible to all. 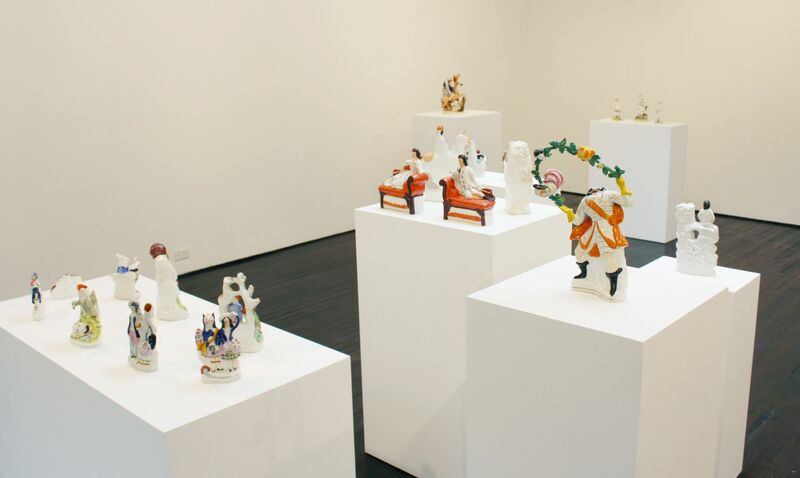 Over the past year, Douglas has collected broken and damaged figurines and subsequently restored them with a surrealist twist. Body parts may be missing or replaced with new attachments of disproportionate size, or an unexpected object. The domestic scenes are manipulated or subverted with a subtle irony. 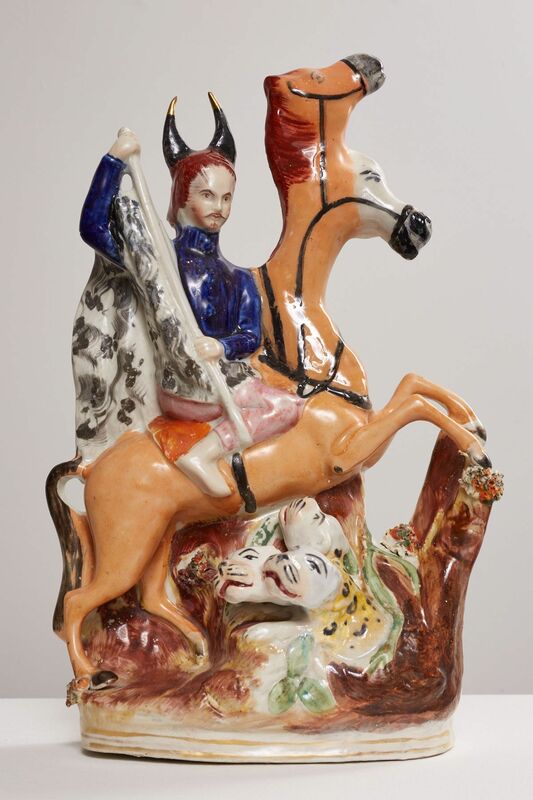 If the originals were portrayals of Victorian romanticism, the artist’s reworked or distorted sculptures are representations of twenty-first century angst. These are the unfortunate souvenirs of our times. Amy Douglas (b. 1971, United Kingdom) lives and works in Brighton, East Sussex. 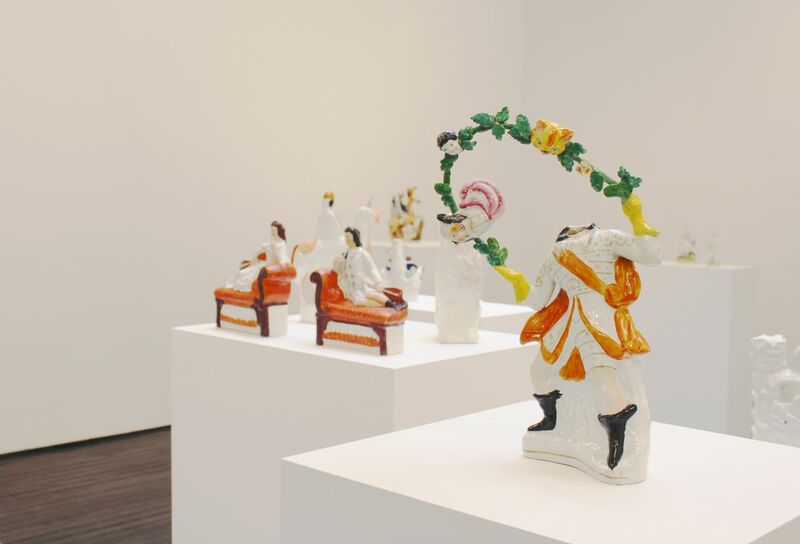 Recent exhibitions include The Art of Salmagundi at Jack Hanley Gallery, Re-reanimate, repair, meld, mend at the Bluecoat Display Centre in Liverpool, Maggs Beneath the Covers at Maggs Bros. London and Out of the Box at the No Format Gallery, London. 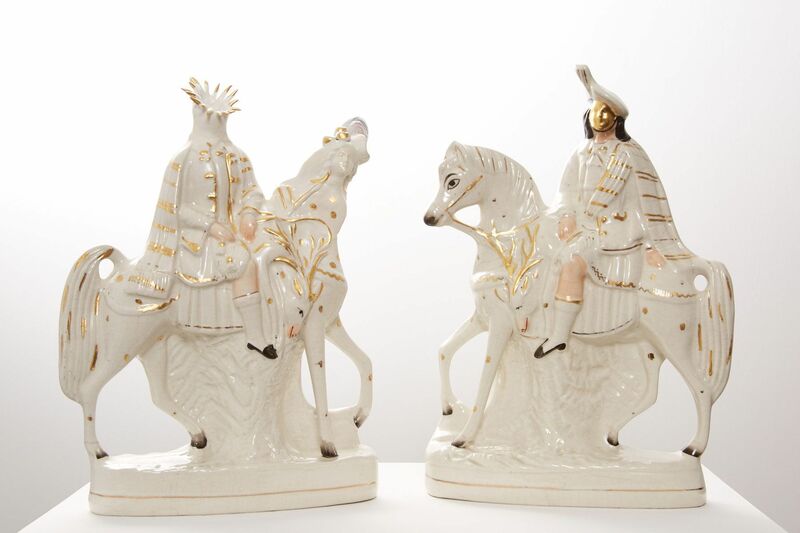 The artist has also participated in numerous festivals and collaborations in public art projects around the U.K. and has worked as a porcelain restorer for over a decade. The artist attended City and Guilds of London Art School in 1998 and received her MA from Camberwell College of Art in 2011.